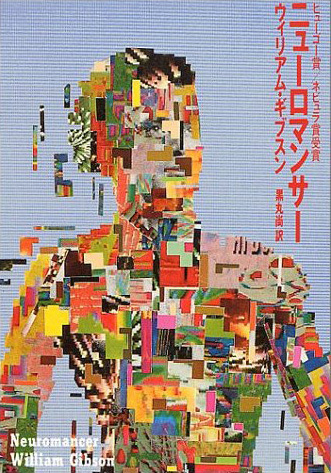 Just out of high school, I had a mild obsession with William Gibson’s so-called cyberpunk novels. The first and most famous of these is Neuromancer, an incredibly prescient book that the Wachowski Bros. shamelessly ripped off in The Matrix. Neuromancer is the first in “The Sprawl” trilogy; Count Zero and Mona Lisa Overdrive followed. I borrowed and never returned Neuromancer from Tilford; a few years ago I lent it, along with Burning Chrome, Gibson’s collection of short stories, to a student who in turn never returned them. I read Count Zero and Mona Lisa Overdrive at the same time as my college roommate Jordan. I don’t know who has these books now. In 1990 Gibson co-authored a book called The Difference Engine with Bruce Sterling. The Difference Engine posits a Victorian England where computers have already been created and are in use. The novel explores the consequences of a technological revolution coming a 100 years early. This book launched what is sometimes called the “steampunk” genre. After TDE, Gibson spent the 90s writing three novels often referred to as “The Bridge” trilogy: the first, Virtual Light, was pretty good (it had a really cool idea about “organic computers”); the second, Idoru, was pretty bad, really; the last, All Tomorrow’s Parties, was downright awful (I couldn’t finish it–I was embarrassed for one of my favorite authors!) At the beginning of the new millenium, technology had caught up to Gibson’s cyberpunk visions, making some of the details of his Bridge trilogy seem outdated or just plain hokey. I knew our time together was up when I passed on a $4 copy of 2003’s Pattern Recognition at Barnes & Noble a few years ago. Despite his fiction taking a dip, Gibson’s blog, as well as his essays (often published in Wired magazine–check out what is probably his most famous piece, “Disneyland with the Death Penalty”) remain relevant and entertaining. Maybe his forthcoming novel, Spook Country, will prove more entertaining; until then, at least we have the Sprawl Trilogy. As with Don DeLillo, the world has caught up with the limits of Gibson’s imagination. He’s not as fussy a stylist, but I’d prefer to read the speculations of his confrere Bruce Sterling these days–much more to chew on. What once Gibson seemed prophetic, now he seems obvious, partly because his ideas have been so widely deseminated in the culture at large. Well-put, Mr. Herzog…I think your last line (“what once […] seemed prophetic [is now] obvious”) pretty much sums up the probs with new Gibson: it’s not that he’s a bad writer, it’s that the concepts and new ideas in the Sprawl trilogy have become pretty much homogenized into global culture. Johnny Mnemonic is hard to forgive. 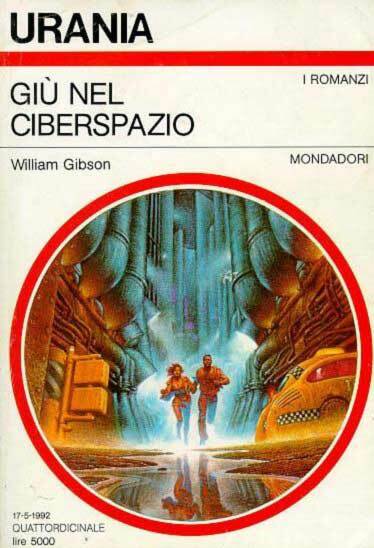 Anyway, rumours about the Neuromancer movie are still popping up and making me feel scared instead of excited; After Neuromancer, I decided to look for more of Gibson´s works, but couldn´t find much at a reasonable price, since I live in Brazil. Being one of my favorite books, I´m afraid it´s big screen version might ruin all the excitement about his work that wasn´t already ruined after The All Tomorrow´s Parties. BTW, man, is it hard to find Cyberpunk literature in this country. Those which were translated to Portuguese are way too expensive, and those in English are simply impossible to find, except if you import them for specific stores. I wish I could walk by a $4 Gibson one of these days.